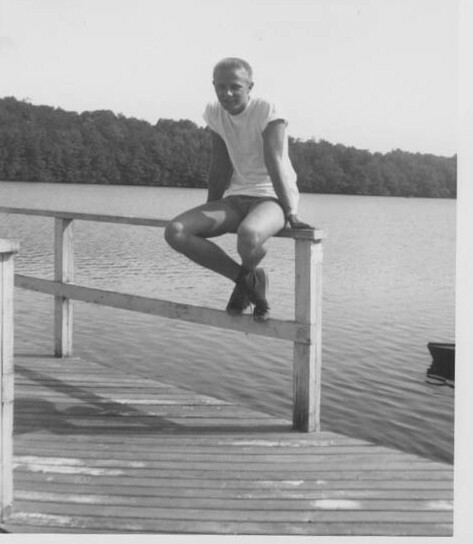 In the summer of 1954, between my junior and senior year in high school, I began working at the Waldemere Hotel, Livingston Manor in the Catskill mountains of New York state. I was employed as a boat boy at the hotel’s dock on Shandelee Lake. My job was to maintain and provide the boats to the hotel quests. 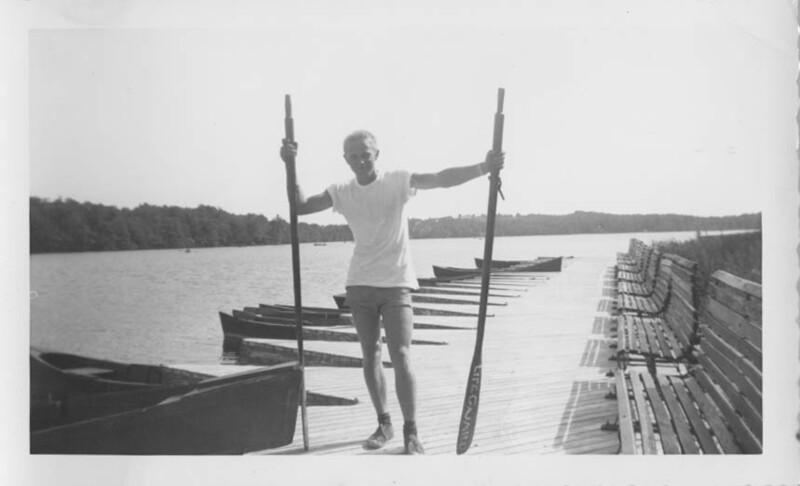 I was not paid very much and relied on tips from guests when I provided the boats and helped them in and out of boats. 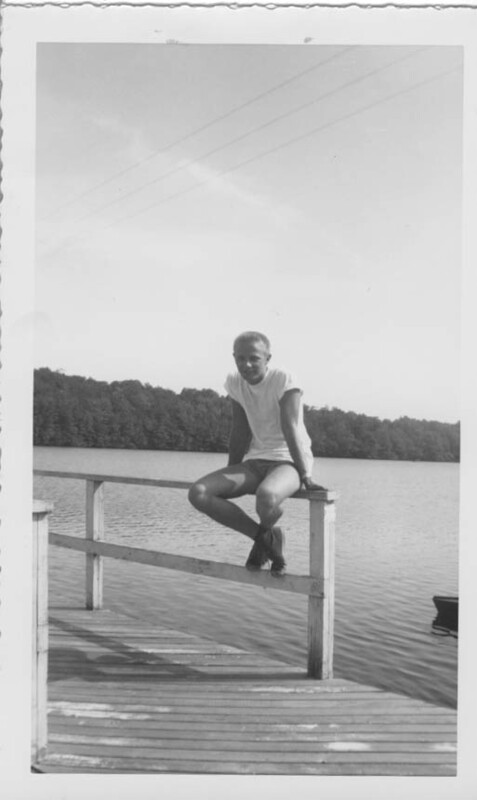 The pictures below were taken at the dock. 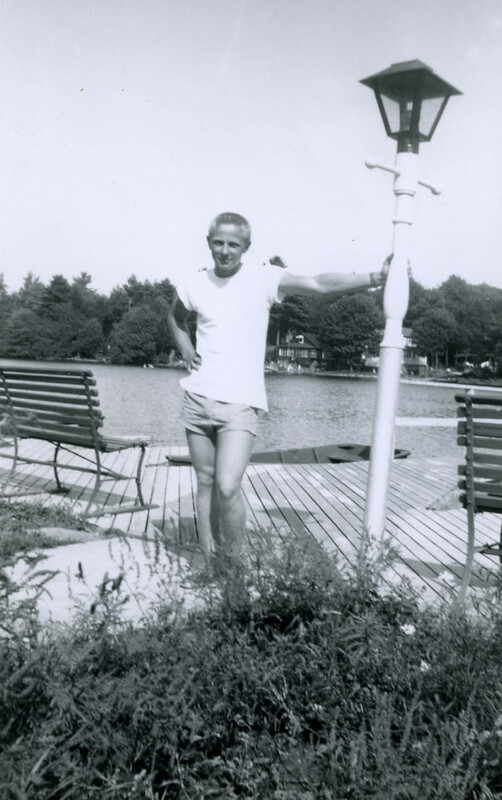 John the boat boy at the Waldemere Hotel, Livingston Manor, NY. (1954). 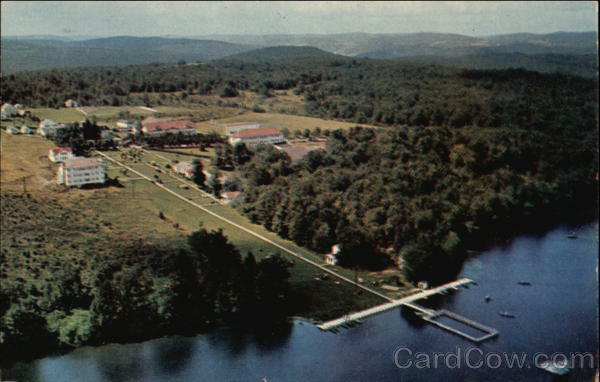 A scan of a post card showing the hotel in the early 1950’s. 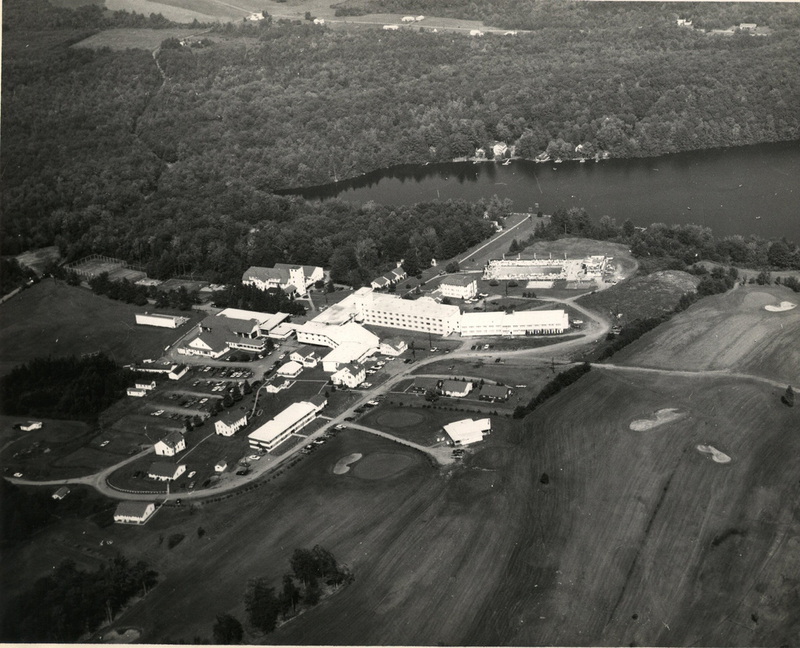 It was spread over a large area with the main complex up from the lake. 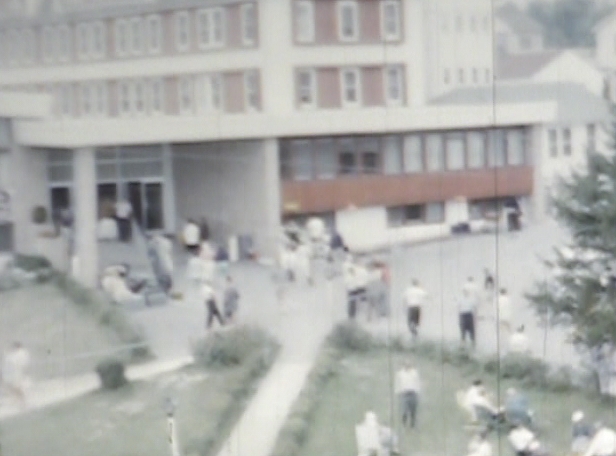 A view of the hotel taken around 1961. 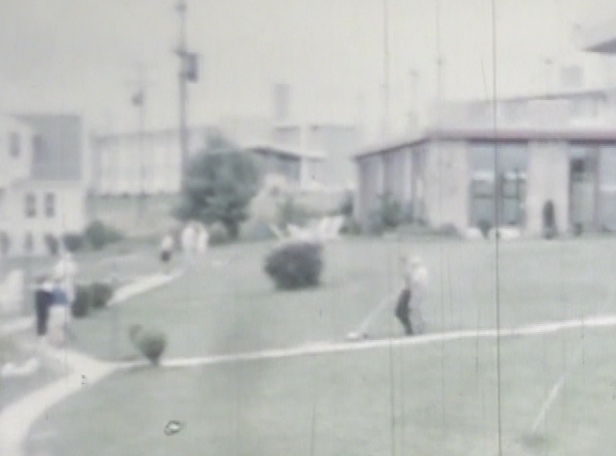 They had constructed a golf course which was not there during our tenure as bellhops. We all went off to graduate schools after the summer of 1959. 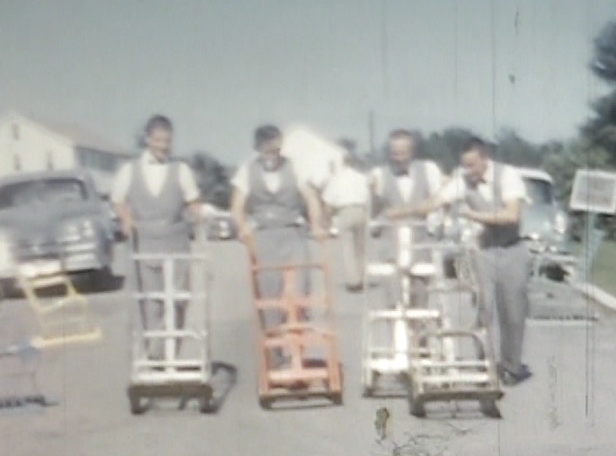 During the summer of 1955, I became a bell hop at the hotel. 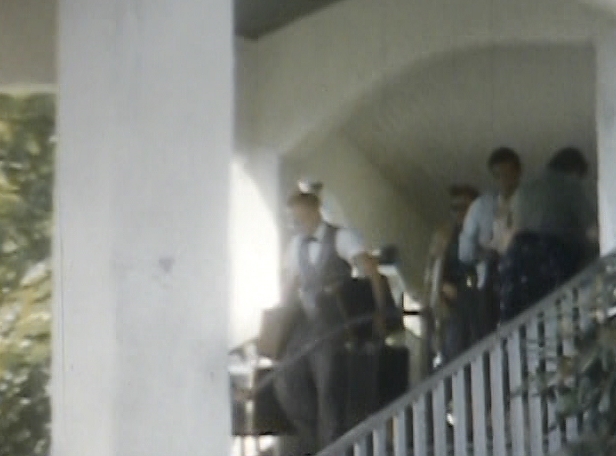 The other four bellhops were boys from the local town. Part way through the summer, the local boys were fired for insubordination. I was asked to arrange for some of my high school and college friends to join me as bell hops. 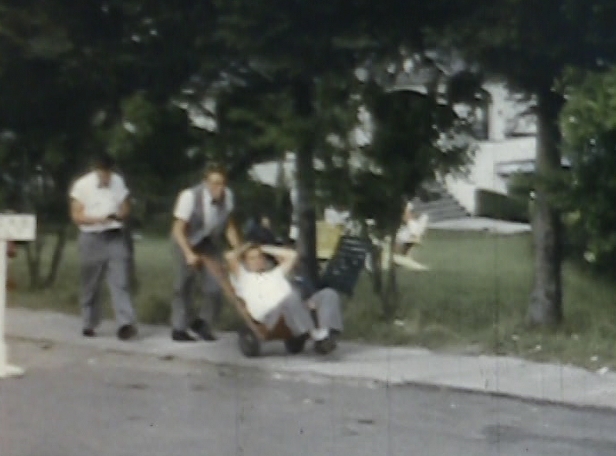 My brother Peter who was a boat boy that summer joined me as a bell hop along with three of my friends. 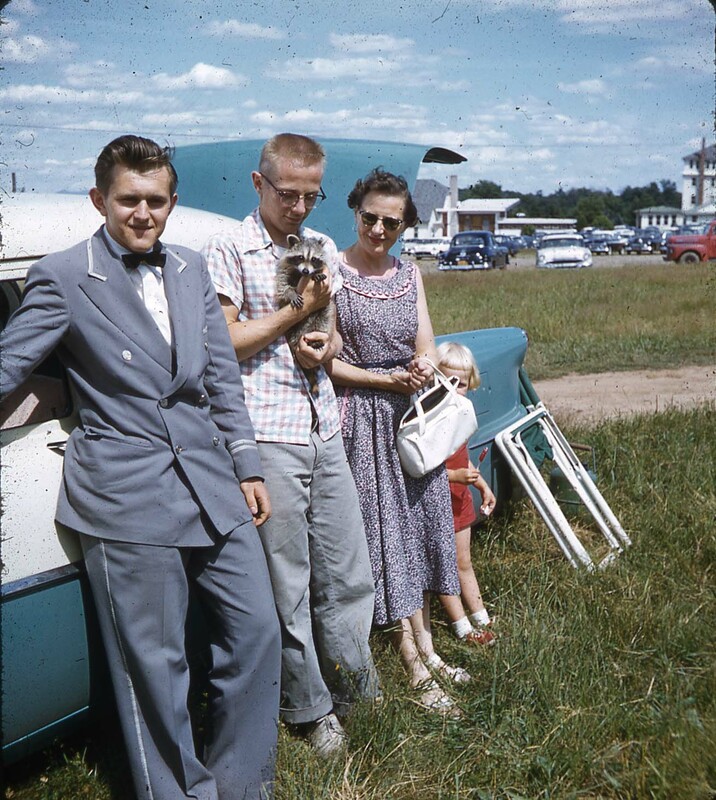 Various friends from college joined my brother Peter and I as bellhops during the following summers on through the summer of 1959. 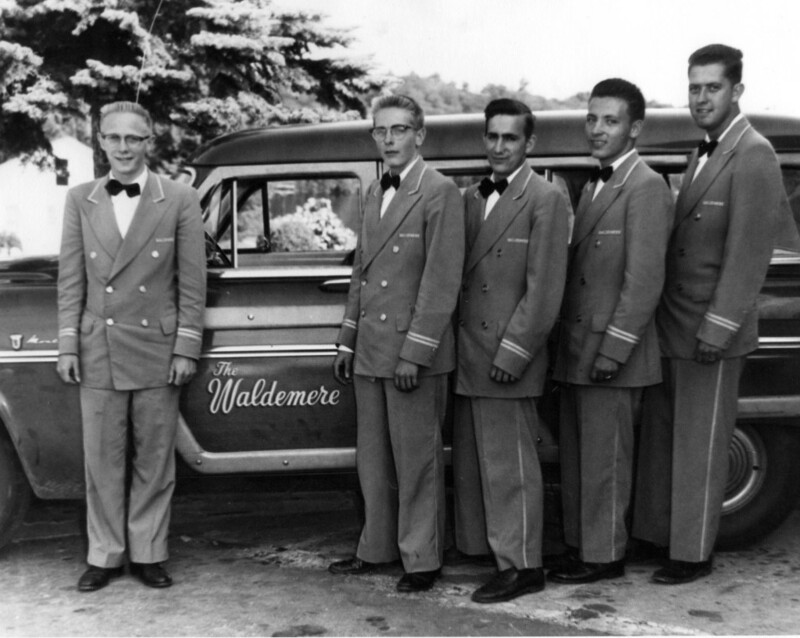 The bellhop crew during the last half of the summer of 1955. From left to right, John (Captain), Peter Pronko, Tom Gerek, Amerigo Damiani, and John Macynte. 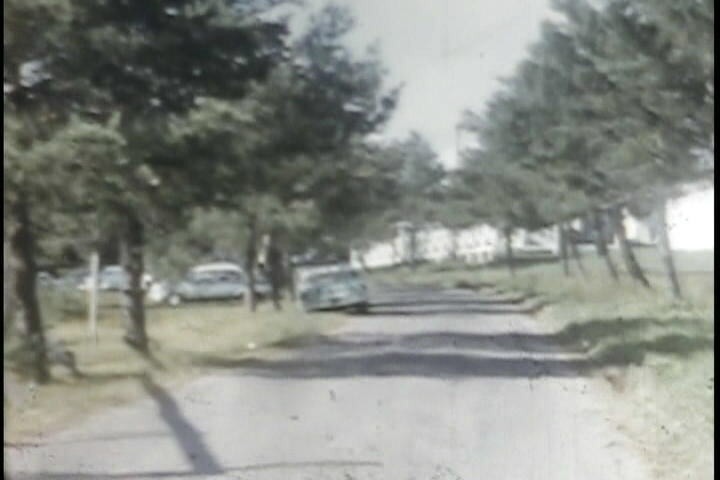 The following photographs were taken from old 8 mm movies. They are all a bit blurry but have some value, none-the-less, in describing the hotel. 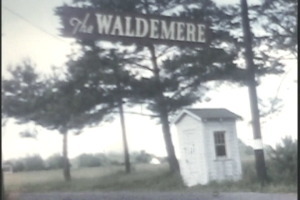 The main entrance driveway to the Waldemere Hotel (1955). The front entrance to the main hotel lobby (1955). 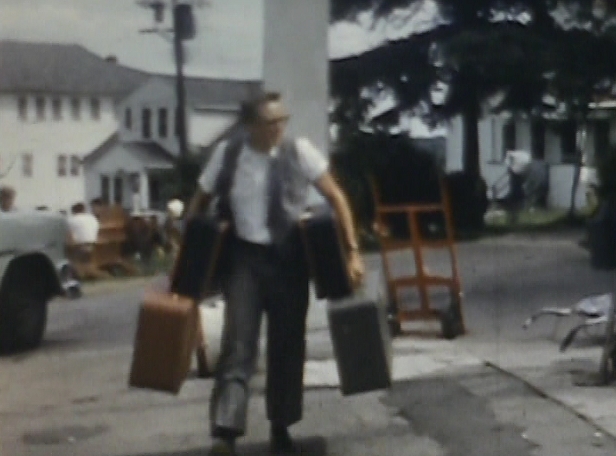 John carrying bags out of the main house. 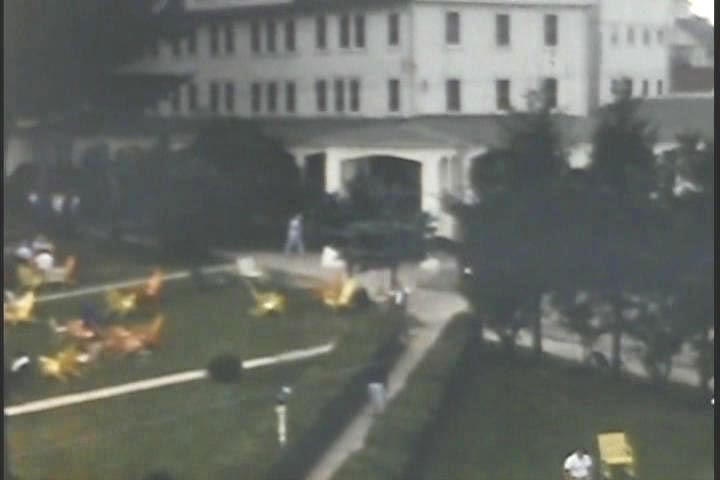 A view of the lawn and some of the hotel buildings with a bellhop heading down the sidewalk with a guest and a push cart. A view of the entrance to the main house after a later major remodeling. 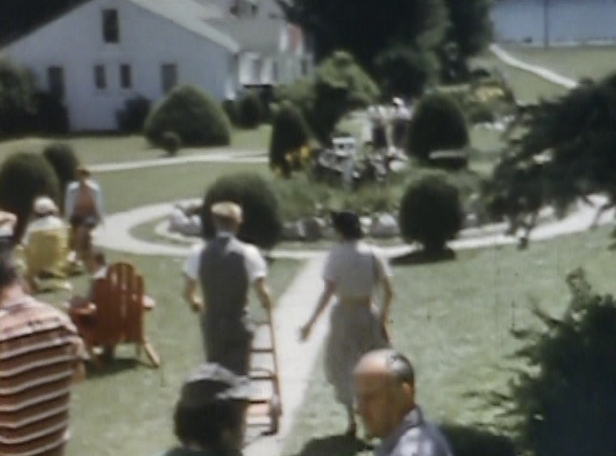 The bellhops quarters were at the very back of the hotel in what we called the “Bellhop Shack”. It contained a telephone so that we could be reached during our off hours. We divided the day into a number of shifts through which we alternated. We always made sure that the busy part of the day was sufficiently manned with bellhops. The pay was meager and we relied on tips which were pooled and divided amongst us on a weekly basis. Jack Konecny, Peter Pronko, and Tom Gerek playing around during a lull in the action. Sunday was our big day with all hands on deck for the big turn around in hotel guests. 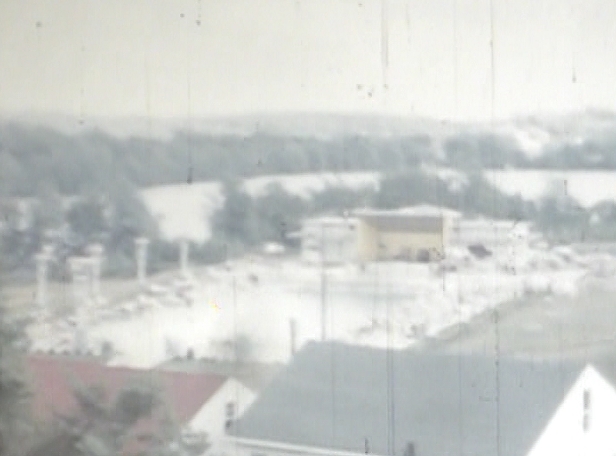 A very blurry view of the outdoor swimming pool taken from the upstairs of the main house. John headed down the lawn with a guest to pick up her luggage. Peter on the move loaded down with bags. The boys returning from delivering luggage to cars in the parking lot. 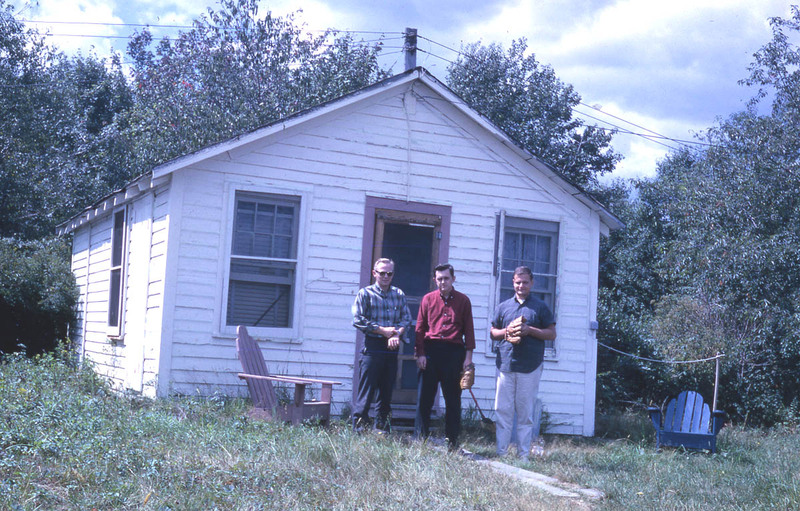 From left to right, Ed Schwartz, Jack Konecny, John, and Tom Gerek. 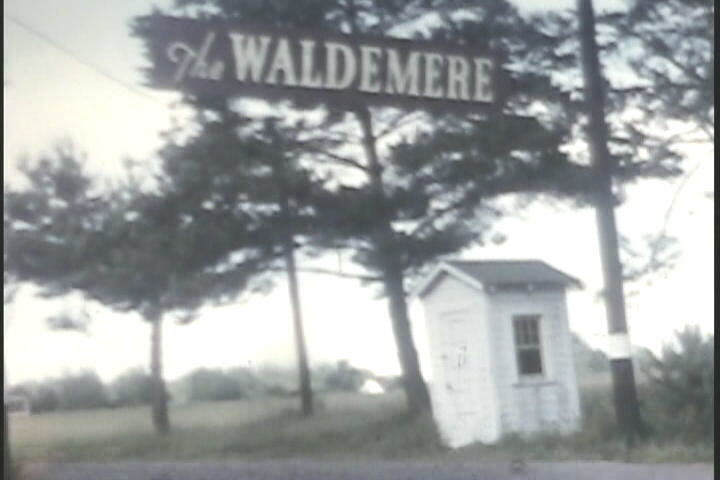 A visit by John’s family to the Waldemere Hotel during the summer of 1956. 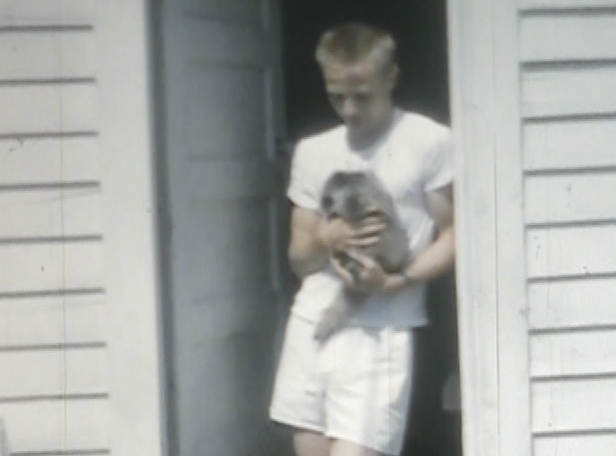 Pictured are Jack Konecny, John with a pet baby racoon they named Schmerbauch, John’s mother Mary, and John’s sister Cynthia. 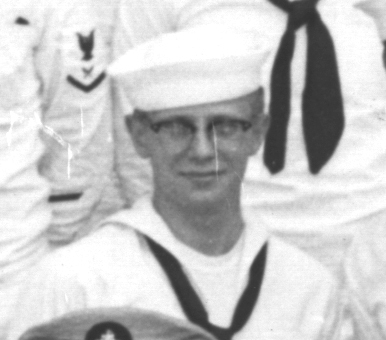 During my last year of high school, I joined the local group of Naval Reservists. I entered as Radioman 3rd class because of the skills that I had as an Amateur Radio Operator (W3ZFL). 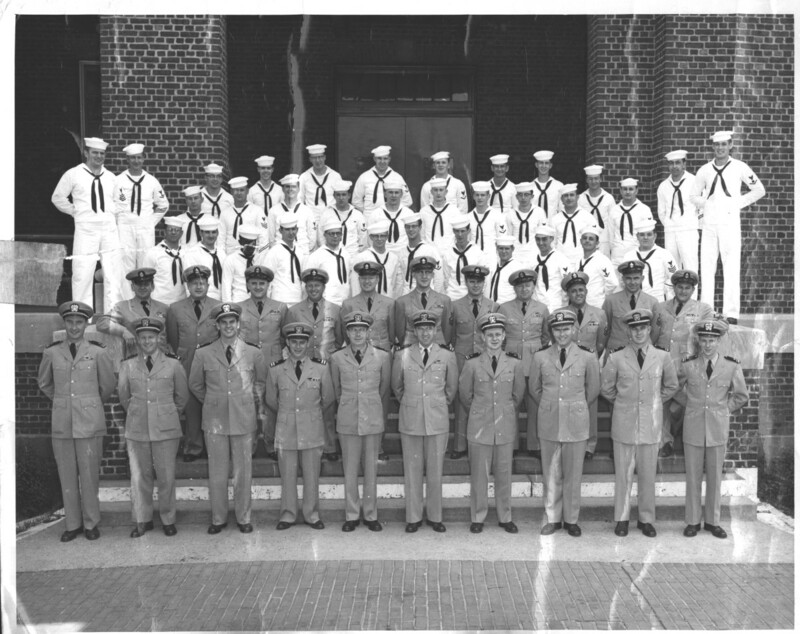 After a summer 2 week stint in boot camp at Bainbridge, MD, I was sent to instructors school at the Philadelphia Naval Yard the following summer. The picture below shows the class of graduates. During the first two years at the University of Scranton, it was mandatory that all the men students partake in ROTC. During this period, I was attending Naval Reserve meetings as well. A close up of me taken from the group picture above.